Welcome to the website for Brindishe Schools. There are three Brindishe Schools. 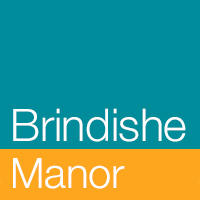 One school is in Lee Green and known as Brindishe Lee.Two schools are in Hither Green and known as Brindishe Green and Brindishe Manor School. All three schools work in close partnership with each other and share many links, ideas, values and beliefs. However each school has its own personality, community and staffing including its own headteacher. Lisa Morris is the headteacher at Brindishe Lee, Gerlinde Achenbach at Brindishe Green and Kate Porter at Brindishe Manor. Brindishe Schools work together to serve a local and shared community of children and their families. Together our three schools provide Lewisham's children with a rich, creative and challenging primary education. As Executive Head of Brindishe Schools I am proud to work with such vibrant, diverse and aspirational schools. I hope that you will enjoy our websites and be encouraged to visit us and to join the Brindishe School community. We look forward to meeting you. Senior leaders work with staff to ensure that the needs of every pupil are well known and that everyone goes that extra step to make sure that pupils achieve exceptionally well and grow as individuals during their time at Brindishe”.